As an 8 year old boy, Bill spent 3 years in a mental institution for a crime he didn’t commit. As a 9 year old girl, Daniele was diagnosed with an incurable disease, then lost her father to heart attack, and spent her teens depressed and overweight. Through the powers of love, forgiveness, and never giving up, they were both able to turn their lives around and find strength from their darkest moments of struggle. Now they are sharing their stories and their most valuable lessons learned so you can turn your struggles into your greatest strengths as well. 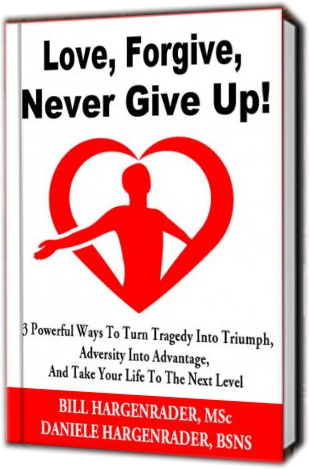 You really can turn tragedy into triumph, adversity into advantage, and take your life to the next level, and this book shows you how. Praise For Love, Forgive, Never Give Up!